Welcome to STLCalendar.com, serving the St. Louis Region as the one stop source for all event information! Need information about what's happening in the region or your community? Planning an event and need to choose a date that doesn't compete for the same audience? Want to spread the word about your event? Then you've come to the right place...The Place To See... The Places To Be! Events posted on this site are of regional interest. 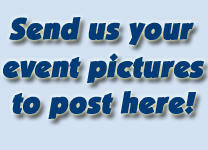 To post or view events of more local community interest, just click on an area on the map below or enter a zip code. To view the calendar for a local area, click on the map below, or search by zip code below the map!